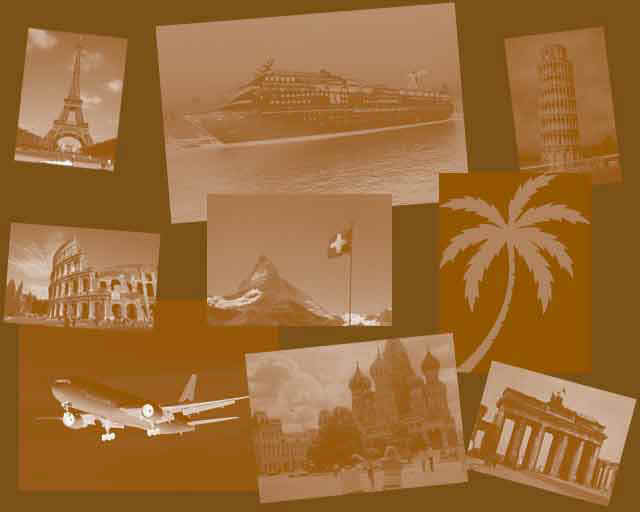 For our customers which require no advance planning, Destinations by Dixon LLC has excellent last minute travel specials to the Caribbean, Mexico, Hawaii, South Pacific, Europe, Alaska, Central and South America, Asia and beyond. We also offer exclusive travel specials from Virtuoso. Exclusive non-stop vacation flights from Chicago O'Hare. Price include all applicable flight/hotel taxes. Prices valid until 04/25/19. RIVIERA MAYA. OCEAN RIVIERA PARADISE, 5 GOLDEN APPLE +, ALL INCLUSIVE, 3 NIGHTS, 04/28/19, 04/29/19, 04/30/19 & 05/10/19, $609.00 PP BASED ON DOUBLE OCCUPANCY. RIVIERA MAYA. EL DORADO SEASIDE SUITES, A SPA RESORT BY KARISMA, 6 APPLE, GOURMET-INCLUSIVE, ADULTS-ONLY (18+), 3 NIGHTS, 05/10/19, 05/12/19 & 05/13/19, $789.00 PP BASED ON DOUBLE OCCUPANCY. RIVIERA MAYA. MOON PALACE CANCUN, 5 GOLDEN APPLE +, ALL INCLUSIVE, COMPLIMENTARY HONEYMOON OR VOW RENEWAL PACKAGE, 3 NIGHTS, 04/28/19, 04/29/19 & 04/30/19, $869.00 PP BASED ON DOUBLE OCCUPANCY. RIVIERA NAYARIT. IBEROSTAR SELECTION PLAYA MITA, 5 GOLDEN APPLE +, ALL INCLUSIVE, $600 RESORT CREDIT PER ROOM, 7 NIGHTS, 06/02/19, 06/09/19, 06/16/19, 06/23/19, 06/30/19, 07/07/19, 07/14/19 & 07/28/19, $869.00 PP BASED ON DOUBLE OCCUPANCY. PUNTA CANA. SECRETS ROYAL BEACH PUNTA CANA, 6 GOLDEN APPLE, UNLIMITED LUXURY, ADULTS-ONLY (18+), NON STOP TRANSFERS INCLUDED, $200 IN RESORT COUPONS PER ROOM, 7 NIGHTS, 05/06/19, 05/10/19, 05/14/19, 05/15/19 & 05/19/19, $1359.00 PP BASED ON DOUBLE OCCUPANCY. ALL PACKAGES ARE SUBJECT TO CHANGE, BASED ON AVAILABILITY AND RESTRICTIONS APPLY.